In 2009, the Shelby Kennedy Foundation was founded to honor the life of Shelby Kennedy, a young woman who displayed enduring faith and joy through extreme trial and pain. In addition to establishing the National Bible Bee to encourage young people to study and memorize Scripture, each year, at the National Bible Bee Competition, the Shelby Kennedy Foundation awards a contestant who has endured and overcome seemingly insurmountable situations while participating in the NBB. 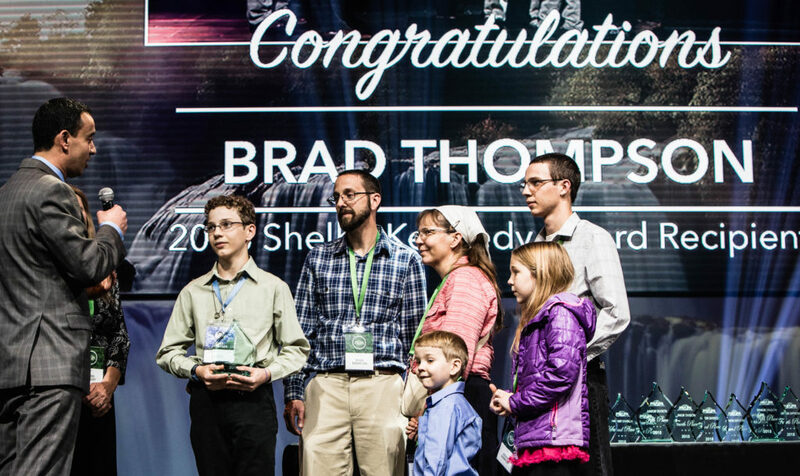 Brad Thompson, the 2018 SKF award recipient, has suffered from a chronic headache and various other trials in the three years he has participated in the National Bible Bee. While his headache is a daily, intense pain that has not stopped Brad from pursuing Scripture. When asked what God was teaching him through this, he said, “God has encouraged me through the Apostle Paul. He sometimes works in ways we don’t understand. I want to persevere and let God use me in mighty ways”.